At the big Apple Event in Cupertino today, the iPhone Xs and iPhone Xs Max were touted as 'the best and biggest displays' yet for iPhone. (...) A surgical grade stainless steel band now in gold joins finishes in silver and space gray. Wider stereo playback creates a more immersive soundstage. The front and back glass design features the most durable glass ever in a smartphone with improved scratch resistance, while the glass back enables faster wireless charging. 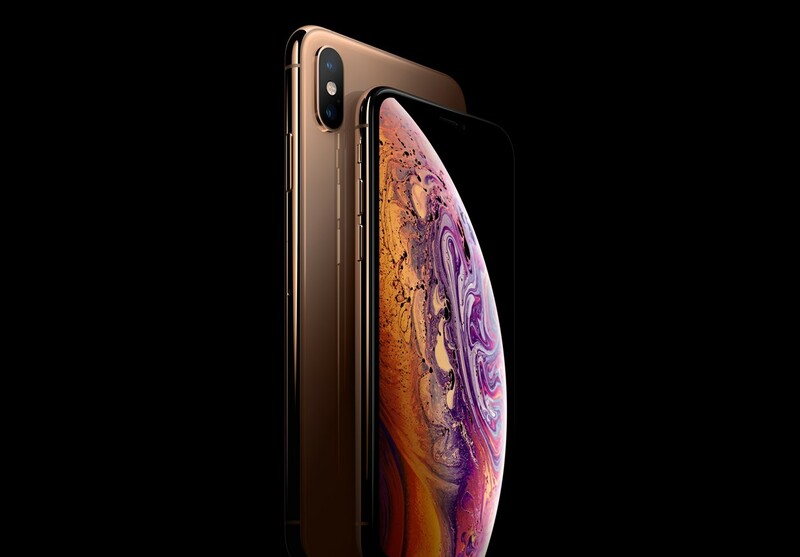 iPhone Xs and iPhone Xs Max reach a new level of splash and water resistance of IP68 for up to 2 meters for 30 minutes and protect against everyday spills including coffee, tea and soda. They're available for pre-order beginning Friday, September 14 and in stores beginning Friday, September 21. More photos below, courtesy of Apple. iPhone Xs and iPhone Xs Max come in gold, space gray and silver finishes. Biggest displays ever in an iPhone. New 12MP dual camera system with 2x optical zoom and dual optical image stabilization. "Advanced Portrait mode comes to iPhone Xs and iPhone Xs Max for even more sophisticated bokeh." From Apple: "iPhone Xs and iPhone Xs Max shoot the highest‑quality video of any smartphone with better low-light performance and extended dynamic range."